India is a land of unique cultural diversities. For anyone coming here from a foreign country has a lot of questions. They are afraid and worried about a lot of things. The behaviour of the locals, food, stay and transport are just a few issues that one may face while travelling in India. Let whatever be the issues, you should always be prepared to face any situation that you may or may not be expecting. Doesn’t matter if you are visiting India from Europe, America or South East Asia, these problems can arise for anyone and this is why you should be fully prepared. 4G sim will surely help you with evading the hostel scam that many taxi and cab drivers are indulged into. The scam is simple, you’ll hire a pre-paid auto rikshaw or a taxi and ask them to take you to the hostel you have booked. On the way they’ll tell you that the hostel is shut down and they can take you to another place for the night. A 4G sim will help you out with connecting with the hostel owner or manager who can guide the hired vehicle to the right place. 4G sim will also let you find the right directions with Google Maps. Since you get a certain amount of data, it becomes easy to locate your hostel, shops, and restaurants when you arrive in India. The new version of Google maps will also help you out when you want to locate museums and places of sightseeing along with giving you information on ticketing, opening and closing time. Numbers of police stations, medical helpline, tourist department assistance, hotel, and embassy are just a few of the contacts that should be accessible to you once you get a sim card. Emergency can happen as soon as the moment you step out of the airport. Better find connectivity at the earliest and you’ll be free from travel issues. In the age of internet, it is really important to let local apps help you out while travelling. Cab hire apps like Uber and Ola are just a few of the many that let you call a car or an auto-rikshaw (tuk tuk) instantly in the major Indian cities. Their presence also helps you find the genuine rates of the transport without getting cheated by the local drivers. Similarly, there are women safety apps, local travel and social media apps that you should be using to sort out your travel related problems. Social media is very effective in this era of travelling. While many don’t really get to the base of it and only end up posting their photos on Facebook and Instagram, others do know how to use social media to make their travel experience better. Travel groups on Facebook have proven to be really effective in helping out a stranded traveller. Couchsurfing groups have members who organize meetups with visitors on a regular basis. There are a number of free social media meetups in various parts of India that you’ll learn about the moment you are here in India. When you reach international airports like Delhi, Chennai, Mumbai, Bangalore, etc, you’ll find certain outlets like Airtel, Vodafone, and Idea present with tourist sim cards with a validity month or two. I have normally used Airtel because they have a strong presence in North India, but Idea has a better connectivity in Southern part of the country. Depending on the region you are travelling to, you can choose the Sim-Card and start with your trip. 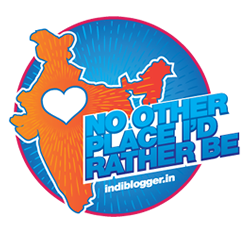 Do you have any more queries about travelling in India? Shoot them in the comments section or connect with my on Facebook and Instagram. Ohh my only wish on travel is that wifi is all accessible. Indeed, we need a reliable 4G (and soon 5G) sim card for convenient travel experience and less hassle. I totally agree with you that both apps and social media are helpful when traveling these days. I use Google Maps constantly when I’m traveling, it makes it easier to get around, but also to find restaurants or coffee. I’ve never actually gotten a sim card while traveling, but I’ve certainly regretted not doing it a few times. I have T-Mobile, and the service can be pretty spotty in certain countries. Thanks for the tips. I started getting local SIM cards every time I travel abroad and they are game changing!! I’ll be traveling to India later this year and 4G sim sounds quite handy. Between prepaid and postpaid, which one has a better service?